NOVATO, Calif -- A 57-year-old man from Novato is the first human West Nile virus case confirmed from Marin County for 2015, according to Marin County Health and Human Services. Public health officials said the man is recovering at home. It is still unknown whether the man contracted the virus locally because of recent travel outside of the county. People over the age of 50 have a greater chance of getting sick and develop complications. West Nile virus is most commonly transmitted to humans by mosquitoes. There are no medications to treat or vaccines to prevent infection. Most people infected will have no symptoms. About 20 percent of those infected will develop a fever with other symptoms, and less than 1 percent develops a serious, sometimes fatal, neurologic illness. The Marin Sonoma Mosquito and Vector Control District is monitoring mosquito populations closely. "Additional surveillance methods are being employed in the in the vicinity of the Novato resident's home," said officials. 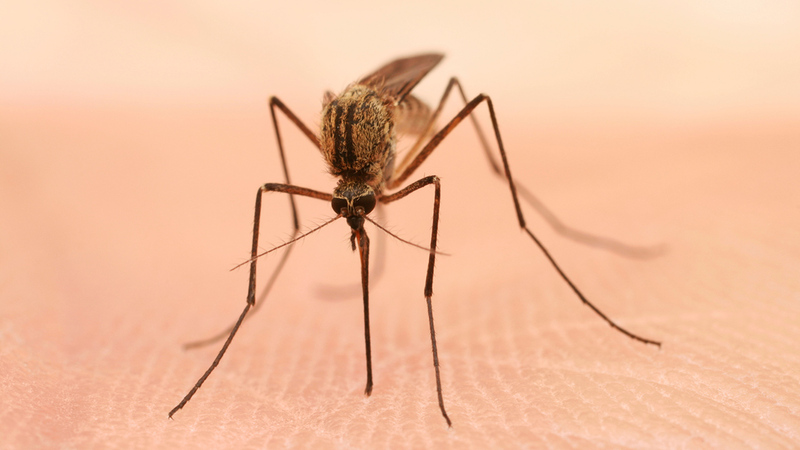 "West Nile Virus is endemic in Marin County, recurring every year during the summer and into the fall," said Dr. Matt Willis, County Health Officer. "The best way to avoid West Nile Virus infection is to take precautionary measures to avoid mosquito bites." Meanwhile, the Contra Costa Mosquito & Vector Control District will conduct fogging operations in Oakley on Thursday to combat soaring numbers of mosquitoes and the regional presence of West Nile virus, district officials said. The treatment will occur from 7:30-11 p.m. Thursday in an area of Oakley that is bordered on the north by Fetzer Lane and Monet Drive; on the south by West Cypress Road; on the east by Picasso Drive; and on the west by Jordan Lane, Fourth Street and Orchard Park Drive. An insecticide will be dispersed from a truck-mounted sprayer. Vector control district officials said that no special precautions need to be taken during the fogging. Most mosquito control is done when the insects are in the water in their larval form, district officials said. Fogging for adult mosquitoes is required when mosquitoes in the area are infected with West Nile virus and are capable of infecting people. People can develop West Nile virus infections through a mosquito bite. The virus may cause fevers, headaches and body aches, and in some rare cases, neurological damage or death. The number of California counties with West Nile virus activity is higher than last year and above the five-year average, according to the state Department of Public Health. Just last week, San Jose's district officials conducted nighttime fogging operations after finding mosquitoes that tested positive for West Nile virus. Health officials suggest the following precautions: Empty all standing water around the home to reduce areas where mosquitoes may breed such as flower pots and pet bowls; make sure windows and door screens are in good condition; use insect repellent containing DEET, picaridin, oil of lemon eucalyptus, or products containing IR3535; limit outdoor activity at dawn and dusk, when mosquitoes are most activ; and wear long-sleeved shirts and long pants while outdoors.